Do you love to use stickers in your planner to help show off your creativity? Maybe you don't like to buy several sheets just to get one color or set of colors that works for your intended theme? 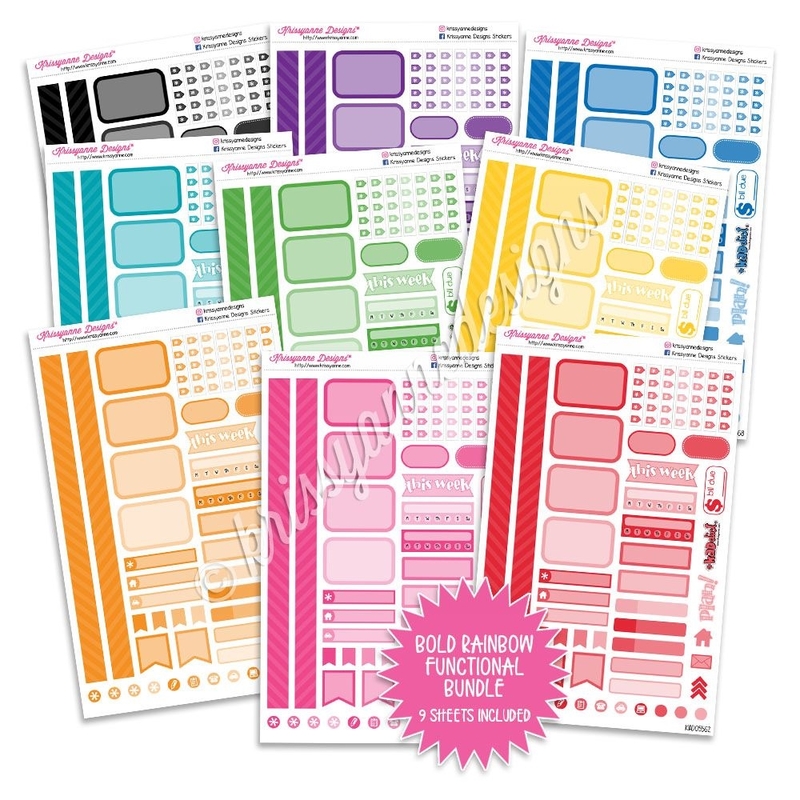 This Functional Sampler Set is the perfect way to have all the functional stickers you may need for a somewhat simplistic week (or more) in your planner. Don't have a personal planner but love this set? Most stickers in this set are the same dimensions as other stickers in the shop and will work in a wide range of planners and calendars!